Relocating long distance at times may seem like a stressful ordeal and may even be one of the most expensive transactions that one may make. Moving Long distance requires preparation and organization. Troy Transportation Moving and Storage Services will work personally with you through every step of the way to understand your needs and budget and develop a moving plan that will get you to your destination hassle and stress free. Whether your move is as close as Montreal, or as far as Calgary, Edmonton or Vancouver, Troy Transportation Moving and Storage will be the right relocation service for you. GUARANTEE that there are no hidden costs or extra charges!!! Respond to any and all requests within 24 hours – Guaranteed! Click here now to get started and get your FREE estimate! A Long Distance move is usually a move that takes place at least 500 km from the point of origin or one that crosses the provincial border. A lot more preparation is involved in planning a long distance move, but Troy Transportation Moving and Storage is there to take you step by step through every way of the process. Book your move and receive your email confirmation within 24 hours of booking date Guaranteed!!! ** We can also accommodate your car shipping needs through an affiliate third party (Ask Now). With any Long Distance Move 4 Weeks of Free Storage! The moving process takes place – the crew will tag every moving item and prepare an inventory list. Our crew will also wrap and protect all of your moving belongings to ensure that everything arrives in the same order and condition. Upon completion of loading, the crew will leave you, your moving contract (Way bill) and inventory list of all items picked up. Upon arrival of the shipment at the destination, our dispatch office will contact you to set up delivery date and time. Should you require storage, we can offer short or long term storage services. Delivery process takes place after the payment has been made. Final bill of lading (receipt) provided by the movers. Start today by getting a FREE no obligation estimate for your moving needs! At Troy Transportation Moving and Storage Services we know that you have probably received calls and emails with quotes starting from the lowest prices to the highest prices in the industry, and you are probably wondering what makes us different. We will not settle for less and will not compromise our service to you as our customer. We will show our personal approach through every step of the way and will not sub-contract or sell your move to any other carrier. We own and operate all of our trucks and you won’t have to worry about the location of your goods. We have a GPS tracking system in all of our trucks and we will let you know where your goods are and when they will arrive at destination. 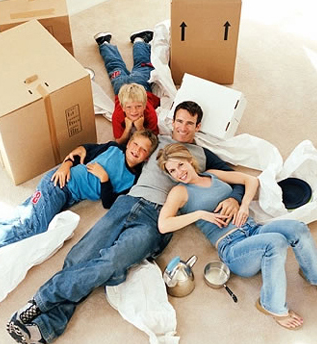 We treat your family move as if it was our family move – Guaranteed! We have 4 major office locations across Canada, including Vancouver, Calgary, Toronto (head office) and Montreal. We also have affiliates associates in other cities across Canada. We can arrange your move at your request. START TODAY by requesting and FREE online Quote! Please inquire with your moving specialist about storage availability and rates. Storage can only be arranged at request before the shipment has been dispatched for delivery.